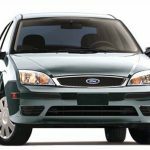 This article show a guide on how to remove instrument cluster for Ford Focus.Such acts are performed at ones own risk, and sole responsibility must be assumed. This may include, but not limited to, the voiding of Ford vehicles factory warranty. Note:It will cost you about 20-30 minutes. Grab the trim in the area of the coin tray (all the way to the right) and very firmly, but carefully, pull it out to release the trim clips. DON’T YANK. On the left hand side, stick your fingers between the trim and the clear lens face, and pull out to release the trim clips on this side. Again, DON’T YANK because the trunk release is plugged in and you could mess up the wires. Depress the clip on the trunk release plug and unplug it. (see picture) The trim around the cluster should now be completely undone, but still attached to the cover on top of the steering wheel. 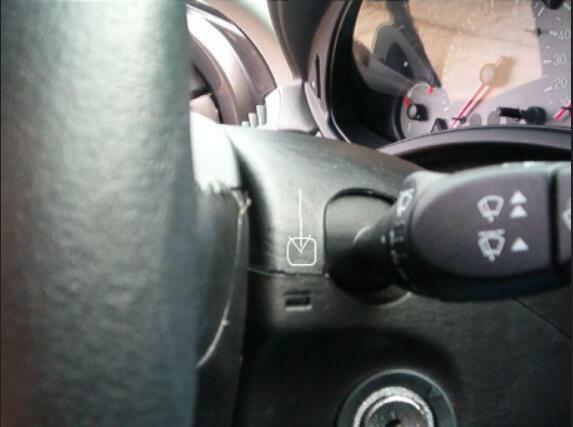 Using your thumbs, depress the area above the tabs on each side of the steering wheel cover. (see picture of right side, there is also one on the left side, not pictured) This should allow the cover to pop free. Remove the entire assembly and put it aside. Be VERY CAREFUL not to scratch the clear lens of your cluster. 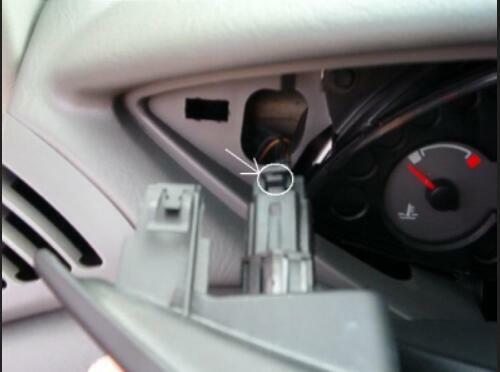 Using a nutdriver and either a 9/32″ or 7 mm socket, remove the 4 screws holding the cluster in the dash. (see arrows in picture) Do not rotate the cluster out yet. 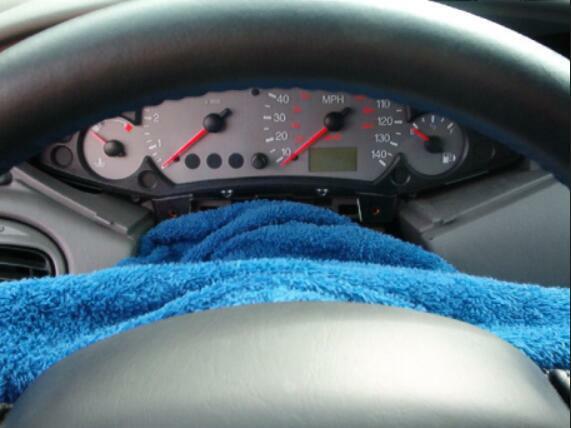 Take a towel, and place it over the top of the steering wheel column. This is to keep you from scratching your lens. Rotate the cluster downward, carefully, because it is still plugged in. Place it face down on the towel. 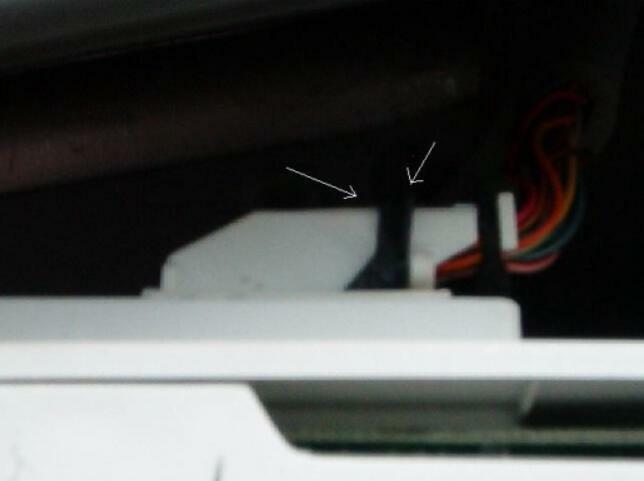 There is a plug on the back of the cluster, with a special kind of clip that holds it in place. (see picture) The left arrow points to a tab that must be depressed (use your left index finger, all you really have to do is apply pressure to it), then using your other hand, push the black clip (right arrow) to the left. It will just rotate to the left, and the plug will slide out of the cluster. 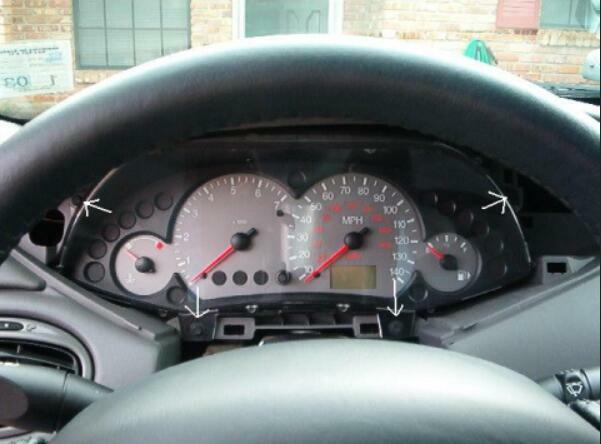 VERY CAREFULLY remove the cluster from the dashboard. Take the cluster assemblies to a well lit place where you can see what you are doing. I prefer the kitchen table. There are 4 clips that hold the clear lens assembly on, 2 on top and 2 on bottom. (see picture, bottom shown, top similar). Using your fingers (no tools necessary or you may break them if you pry with a screwdriver) release the tabs and place the lens aside. There are 3 “Torx” screws that hold the face assembly in the cluster housing. (see picture) Using a T-10 Torx bit, remove the three screws. Don’t lose them. To remove the face assembly from the cluster housing, you must grab the top of the faces with your fingers and the bottom with your thumb. Firmly (it helps if you wiggle it a bit) pull first one side off, then the other side. It should pull free without too much difficulty. 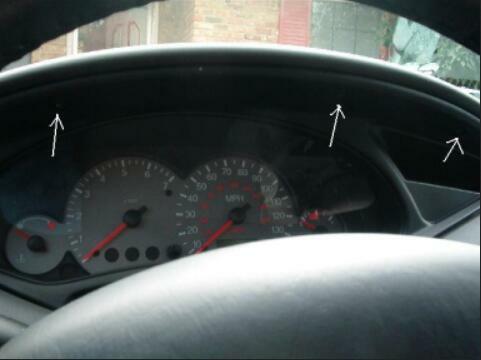 Install your new gauge face, following the directions that came with it. Disturb the needles as little as possible, or they will not be accurate. Snap the clear lens back onto the cluster assembly. 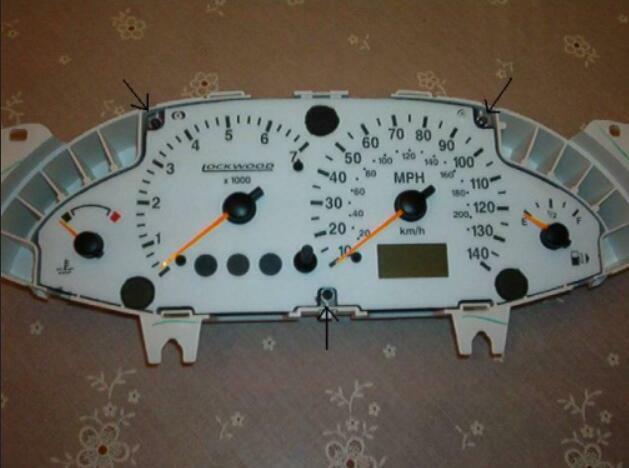 Take your newly assembled gauges out to your car. 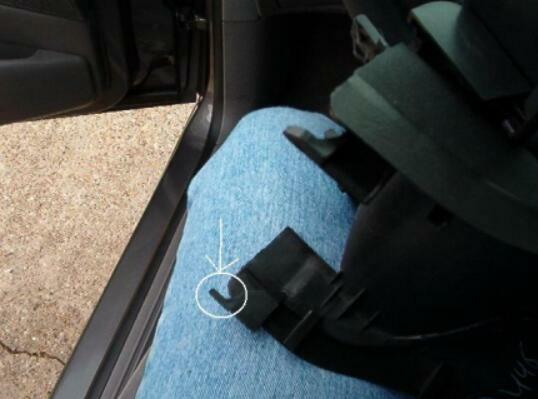 Place them face down onto the towel that is on top of the steering column. Place the plug back into the housing and rotate the retaining clip back into place. It should make a little “snap” when it is in place. 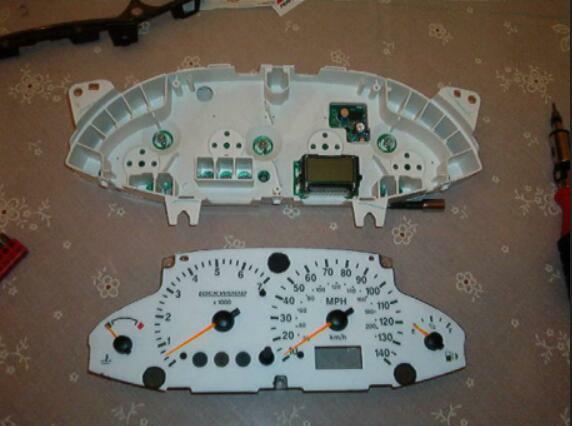 Place the cluster housing back into the dash and replace the 4 screws, using the nut driver. Take the trim that you placed aside earlier, and work it back into position. Plug the trunk release button back in. The steering wheel cover has some clips toward the rear of it that must be engaged for the cover to fit properly. 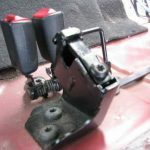 Just take it easy and be patient, they just slip under some tabs toward the back of the steering column, under the cluster. Make sure it fits back correctly. Once you get that in, snap the front of the cover back into the tabs. It’s kind of a two step process, snap each side in, then press a little harder to make it go in all the way. You may have to kind of play with it a little. Press on the trim to snap it back into place around the gauge cluster. Make sure it is snapped in all the way around. 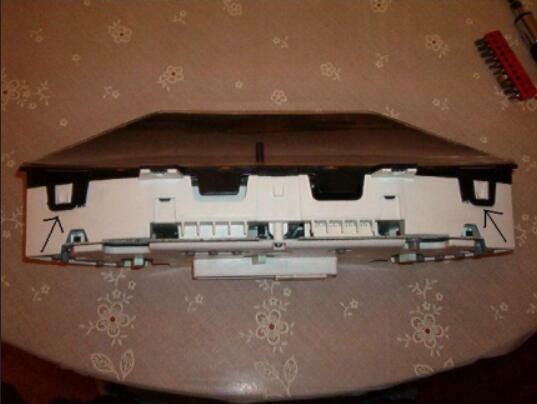 Replace the three screws at the top of the trim, using a Phillips head screwdriver. Once you start your car after installation, the needles will swing all the way around once, don’t freak out, this is normal. Your current odometer reading should still be correct, but your trip meter should read zero. This is ok, it happens when you unplug the cluster.